Greg Fingar and the County Republican Committee are suing CCDC on the second home owner's right to vote in Columbia County. Mr. Fingar is quoted in the Register-Star saying, "We love second home owners, but if you declare your residence as somewhere outside of Columbia County, that's where you should vote." This is the same issue with the same Republican lawyers and the same private investigator as the Murphy/Tedisco fiasco this year. 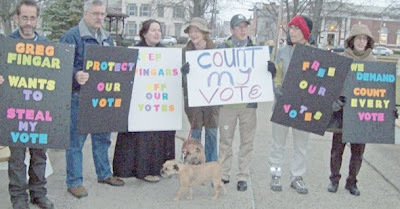 Fingar thinks Republicans have a better case this time because Republicans hired private investigators and sent them to NYC to investigate absentee voters' residency status. He claims they have proof of fraud. This is just one example of how far Republicans will go and what their tactics are. This is a shameful attempt to disenfranchise duly eligible Columbia County Democratic voters. 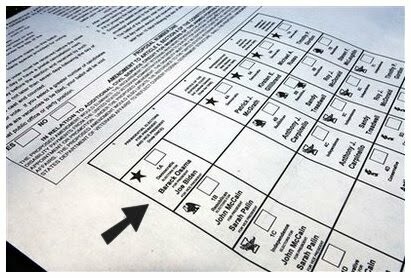 The challenged absentee ballots will wind up in Columbia County court and are scheduled to be heard on November 30. We want you all to know we have retained an excellent elections law attorney, Kathleen O'Keefe, who has represented us from the very beginning of the absentee ballot count and will continue to represent us in the court action. The State Democratic Committee, NYS Lawyers Council, elected officials at every level and others are aware of what is going on here and have offered assistance and council. We have every reason to believe we have an excellent case and will prevail. In addition, Commissioner Martin has also been sued by the Republicans in a scurrilous attempt to discredit her and add fuel to the fire of their case. This tactic will not work. Virginia bravely stood up to the Republican intimidation and will be vigorously represented in court as well. Please make a donation to our Legal Defense Fund through ActBlue. We need to have the strongest legal defense possible. Your CCDC leadership and legal team promise to fight this battle tooth and nail. We will not give up and we will never give in. The stakes are too high. We want to end this right here, right now. This extremely important case is personal. The judge's ruling will have ramifications on the Constitutional rights of our friends and neighbors right here in Columbia County as well as state-wide. Please help us ... give generously to preserve your right to vote. Hudson - In what is now becoming the routine in Columbia County, Republican operatives and attorneys have descended upon the County Board of Elections to deny the rights of voters in Columbia County. After Republicans reneged on a scheduling agreement, the impasse was resolved after a court order and appeal and counting finally began of absentee ballots more than ten hours behind schedule. 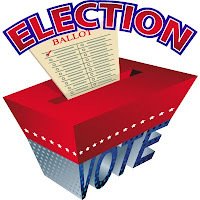 Democratic Elections Commissioner Virginia Martin stated that "we had all expected to start the counting of absentee ballots this morning at 9am. 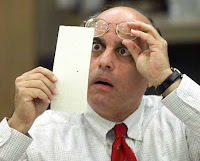 Unfortunately after an agreement had previously been reached on the schedule for counting paper ballots, the Republican Commissioner changed his mind." Martin continued, "After meeting the Republicans more than halfway, there was no compromise from the other side. This resulted in a wasted day for all of the poll watchers, candidates and party officials who had assembled at the appointed time of 9am. This was a tragic waste of the taxpayers' money." Once the opening of absentee and other paper ballots began, Republican representatives routinely challenged 2nd home owners, students and other valid voters' ballots, in an effort to win the five local races still left to be decided in the county. The Republican party is spending an exorbitant amount of money on high-priced attorneys and operatives. All this without having filed complete, or in some cases any, financial reports with the NYS Board of Elections. The voters who cast absentee ballots in Columbia County are being disenfranchised, and we are all unable to even determine who is paying the bills. This tactic reached its peak previously during the extremely tight race to fill the vacated seat left by the appointment of Senator Gillibrand between Scott Murphy and Jim Tedisco. The same players in that weeks-long fiasco are now back in Columbia County and up to their same old tricks. They are trying to throw out ballots on technicalities; students who did not put the name of their school on absentee ballot applications or workers who omitted the name of their employer, or questioning the right of 2nd home owners to vote at the residence of their choice. They are particularly targeting people who have New York City or Florida addresses. Christopher Nolan, Chair of the Columbia County Democratic Committee, said: "We believe that the profiling being employed by the Republicans is discriminatory and is harassment of legitimate voters, the aim of which is to discourage Democratic voters from registering and voting in Columbia County. These voters pay a significant amount of the taxes in Columbia County; they contribute to our libraries, schools, fire houses, local civic organizations and our economy. The Columbia County Democratic Committee stands with all of these voters to vote where they choose to vote and to have their votes counted, as is their right." The issue of 2nd home owners in particular has been resolved by the courts. Any voter who has more than one residence may choose which single residence they would choose to use to register to vote. Yet since the Republican operatives consider 2nd home owners to lean more toward the Democrats, they are routinely attempting to disenfranchise these voters. 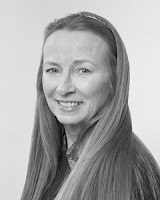 Counsel for the Columbia County Democratic Committee, Kathleen O'Keefe stated: "It is an outrage that people who have been registered and voting in Columbia County, some since the 1970s, are having their ballots contested on residency issues." 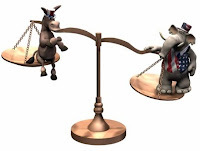 After the Murphy/Tedisco election, the Columbia County Democratic Committee warned the voters of Columbia County that the tactics employed in that race might very well become the routine operating procedure for the Republican party in our local races. That prediction has now come true. In the Town of Copake the Copake Democrats swept every town seat across the board. Democratic incumbents Linda Gabaccia and Bob Sacks held their seats on the Copake Town Board. Democratic challenger Loredana Delventhal unseated David Gordineer for town assessor. The position of town justice was won by Democratic incumbent Brian J. Herman over former justice William Kane. Several key members of the Columbia County Democratic Committee (CCDC) have responded to the $9 Million accounting mess at the Columbia County Department of Social Services (DSS) by writing letters to the editor and by blogging. We bring you these letters so that you can see what other people are thinking about this scandal. Bear in mind, the writers are speaking only for themselves and not on behalf of the committee. How Do You Lose $9M? Carol Sacks is Treasurer of CCDC and Chair of Copake Democrats. She was a candidate for Columbia County Treasurer in 2007. Chris Nolan is Chair of CCDC and Chair of Clermont Democrats. $9 Million Dollars?...Well How Much Does a New Form of Government Cost Then? Victor Mendolia is Chair of Hudson City Democratic Committee and CCDC Webmaster. Everyone has expected the race for the Town of Claverack Supervisor seat to be tight. After the polls closed it became clear just how tight it is. Democrat Robin Andrews is looking to unseat incumbent Claverack Supervisor, Republican Jim Keegan. The race remains too close to call. There are about 130 absentee ballots to count. Democrat Art Bassin has unseated Republican incumbent Supervisor Thomas Dias in the Town of Ancram. A little more than 100 absentee ballots are left to count. In a major pickup for the Democrats due to its heavily weighted vote, Ed Nabozny has taken the Town of Greenport's Supervisor's seat. The seat had previously been held by Republican John Rutkey who did not run for re-election. Edward Nabozny, an Independence Party member backed by Greenport Democrats and the Conservative Party won by a large margin, beating out Republican Patrick Nolan. This was Nabozny’s second run at the supervisor position. Nabozny received 833 votes, while Nolan received 496. When the polls closed in the Town of Stuyvesant, the race for Stuyvesant Town Supervisor was too close to call. Republican incumbent Supervisor Valerie Bertram was at 378 votes, and Democratic challenger Lee Jamison with 359 votes. Lee was endorsed by the Register-Star. There are about 50 absentee and affadavit ballots still to be counted, leaving room for either candidate to emerge victorious. Read more on the race in Register-Star and the Stuyvesant Democrats Blog. several Democratic incumbents have lost their races for re-election. 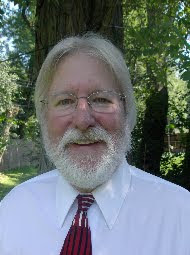 • In the Town of Kinderhook attorney Pat Grattan has beaten Doug McGivney for Kinderhook Supervisor. 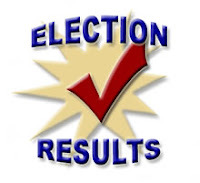 • In the Town of Livingston, Kevin McDonald has won over Phil Williams for Livingston Supervisor. 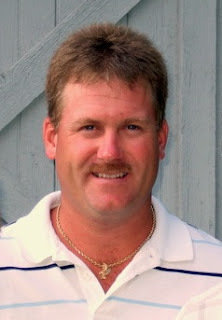 • In the Town of Austerlitz, Jeff Braley is ahead of Democratic incumbent George Jahn for Austerlitz Town Supervisor. The current vote count is Braley 255 votes and Jahn 178. With about 80 absentee ballots issued, Jahn would have to win nearly all of them in order to win the election. 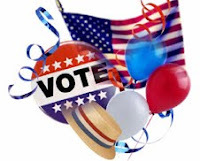 The Columbia County Democratic Committee wishes to thank Supervisors McGivney, Williams and Jahn for their service to the committee, to their towns and to Columbia County. 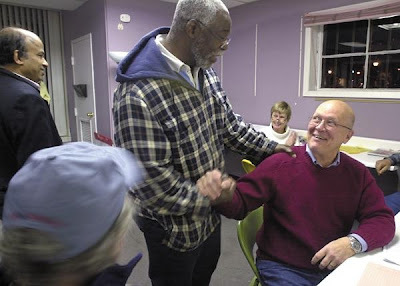 Don Moore is congratulated by 2nd Ward Supervisor Ed Cross. Standing (l) is 2nd Ward Alderman Abdus Miah and seated, Hudson City Treasurer Eileen Halloran. We will be posting election results for all of Columbia County as soon as they become available on Tuesday Night, Election Day November 3rd.